In Delaware, if you're a new teen driver, you must complete the graduated driver license requirements of the DE Division of Motor Vehicles (DMV). The first step is to complete a driver's education course and then obtain your level 1 learner's permit. If you're over 18 years old, you will still need to obtain a learner's permit (temporary instruction permit); however you will have different requirements and restrictions. Once you have your driver's permit, you will be able to begin practicing driving while supervised and be on your way to passing your road test. This page outlines the steps you need to take to obtain your DE driver's permit, driving restrictions you must follow, and how to move on to the next steps of the GDL process. If you have an out-of-state driver's license, you have 60 days to transfer it once you move to Delaware. You will receive a level 1 learner's permit if you've only had your out-of-state driver's license for less than 1 year. NOTE: You must have completed Driver's Ed in your previous state and have it approved by the DE Department of Education. Make sure to bring your certificate of completion when you apply. For more information about transferring your out-of-state driver's license, see our Applying for a New License (Teen Drivers) in Delaware page. To check if you can transfer your out-of-state driver's permit, contact the DE DMV directly. In order to get your learner's permit in the state of Delaware, you must be at least 16 years old and have successfully completed an approved Driver’s Ed course, if you're younger than 18 years old. Submit an application signed by a sponsor. Present your DE driver's education certificate of completion. If you completed Driver's Ed in another state, see “Out-of-State Driver's Ed" below. Submit documents proving your name, date of birth, Social Security number, and Delaware residency. 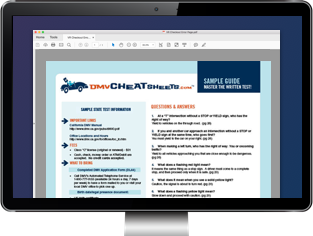 For a complete list of accepted documents, see the DE DMV website. Pass the written permit test, if you haven't already passed it during your Driver's Ed course. NOTE: If you're 18 years old or older, you do not need to complete Driver's Ed, and you will receive a temporary learner's permit. If you completed your driver education course in another state, your out-of-state certificate must be approved by the Delaware Department of Education. You can also fax it to (302) 739-1770. For questions or more info, call (302) 857-3320. The written permit test consists of 30 questions developed from the Delaware Driver Manual. You must answer 24 questions correctly to achieve a passing score. To help you prepare for the written test, the DMV offers a basic practice test and App. In addition, we recommend using an online practice testfrom our approved partner. Take a look at all three, then make your own informed decision which method of study is right for you. Once you have your learner's permit, you may begin practicing driving; however, you must follow certain restrictions. You can only have 1 passenger other than your supervising driver in the vehicle with you for the first 12 months. Family members are exempt, but you must still be supervised. For the first 6 months, you must drive supervised at all times. For the second 6 months, you can drive unsupervised between 6 a.m. and 10 p.m.
You can drive unsupervised only for church, work, and school purposes. Have held their driver's license for at least 5 years. Are seated in the front passenger seat while you are driving. If you're 18 years old or older, your temporary learner's permit will allow you to drive while supervised by a licensed driver who is at least 21 years old. During the first 6 months of having your level 1 Delaware learner's permit, you must complete 50 hours of supervised driving time, including 10 hours at night. These hours must be logged in an affidavit signed by your parent or guardian. The supervised driving log can be found in the Parent's Supervised Driving Program document. Have turned 17 years old. NOTE: If your Delaware learner's permit has been suspended, cancelled, or revoked for any period of time, this will not count towards your requirement of 1 year holding your permit. If you're 18 years old or older, you can take your road test 10 days after receiving your temporary learner's permit. Driver Education, Drivers Training, Driver's License & ID, and Applying For a New License.